The 2017 Toyota Camry Hybrid unites top-of-the-line fuel economy ratings with premium technology and an executively styled interior. Daytona Beach and Palm Coast drivers are already excited to take one out for a test drive by paying a visit to the showroom here at Beaver Toyota, but here’s a little more information to whet your appetite. 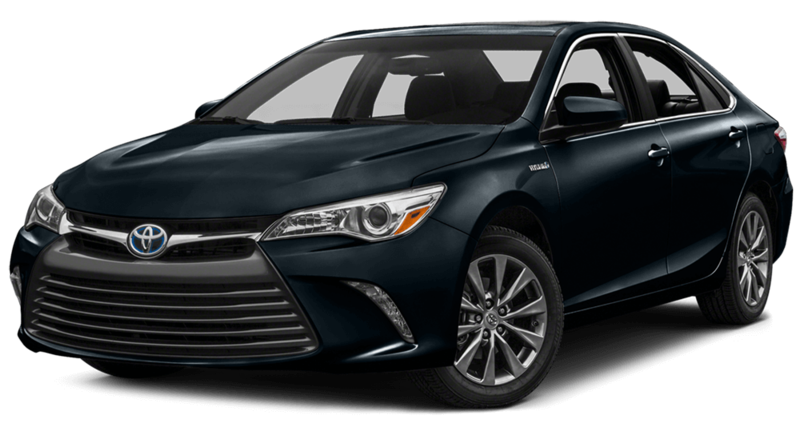 The 2017 Toyota Camry Hybrid was always going to be defined by its performance and efficiency, and it has managed to defy even the highest of expectations. A 2.5L 4-cylinder engine combines with the Hybrid Synergy Drive system to create a combined 200 hp. Such an output thoroughly debunks the idea that hybrid models can’t keep up with traditionally powered vehicles — that’s more horsepower than vehicles such as the 2017 Accord and 2016 Fusion offer as standard. The 2017 Toyota Hybrid has been handsomely designed with a clear and ergonomic interior, and there’s even plenty of cargo space thanks to the neatness of the hybrid battery pack. In fact, Daytona Beach and Palm Coast drivers will find up to 13.1 cubic feet to play with in the trunk. Wireless Charging: Place your Qi-compatible device on the nonslip surface to have it charge as you drive — no wires required. You’ll be able to say goodbye to the days when you turned up at your destination with a flat battery on the your cellphone or tablet. Entune App Suite: Feel like accessing Pandora, Slacker Radio, or iHeartRadio for music, making a restaurant reservation with OpenTable, buyi, or finding anything from sports scores to stock prices to fuel rates? Just use the available App Suite function. Smart Key System with Push Button Start: The Camry’s Smart Key System delivers outstanding convenience. Drivers will be able to unlock the front doors and trunk before starting their Camry with the push of a button — that’s all without taking the key fob from their pocket or purse. You’ll also be able to use the Safety Connect emergency assistance system to receive the help you need as soon as possible. Subscribers will be able to call upon Emergency Assistance, as well as features such as Stolen Vehicle Locator, Roadside Assistance, and Automatic Collision Notification from a 24/7 call center. The Camry is America’s bestselling car, and the 2017 Toyota Camry Hybrid is well on its way to defining its own segment. To find out more near Daytona Beach and Palm Coast, or even to arrange a test drive, just visit Beaver Toyota. ** 2017 EPA-estimated mileage. Actual mileage will vary. Prototype shown with options. Production model will vary.